Alexandria is a vibrant city in Egypt. With a population of over 3 million residents, it is the second largest destination of the country. 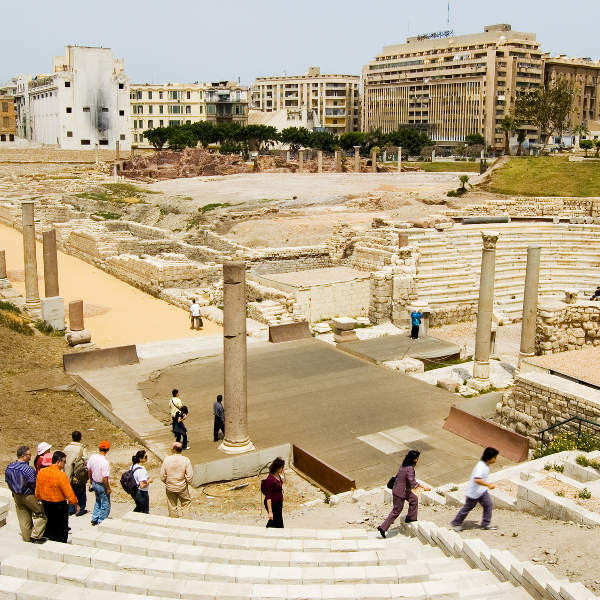 Alexandria offers you the chance to discover its rich history, in the architecture from the distant past. 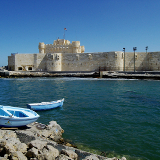 The city’s top attractions include the Catacombs of Kom el Shoqafa, Montaza Palace, and Pompey’s Pillar. Cheap flights to Alexandria are now available for a limited time, so seize this opportunity to discover this exotic city. This destination is home to the Borg El Arab Airport (HBE), which is a 50-minute drive from the city centre. Discover Alexandria’s awe-inspiring 70-kilometre shoreline, stretching out as far as the eye can see. This includes magnificent bays and harbours, as well as several golden beaches. Alexandria’s rich history is reflected in architecture and ruins that date back for thousands of years. Explore all these signs of a former time. Anyone interested in the religious sites of Alexandria will be well rewarded by the wealth of mosques and monasteries situated in and around the city. The best time to visit depends on what you want when visiting Alexandria. During peak travel season, from October to May (mid-autumn to late spring) accommodation costs rise and the temperatures drop considerably from Egypt’s infamous heat, drawing more visitors. From May to October (Egyptian summer) temperatures rise, but so do the amount of hotel discounts. Let Travelstart help net yourself that dream holiday experience. Alexandria is the former capital of Egypt, sitting on the edge of the Mediterranean Sea and home to a 70-kilometre coastline. In this city, you will find a blend of international flavours, including French, Greek and other European countries as well as art deco architecture. 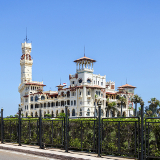 Discover Alexandria’s wealth of history, or sunbathe on the golden beaches that stretch all the way from Mamoura in the east to Agamy Beach in the west of the city. 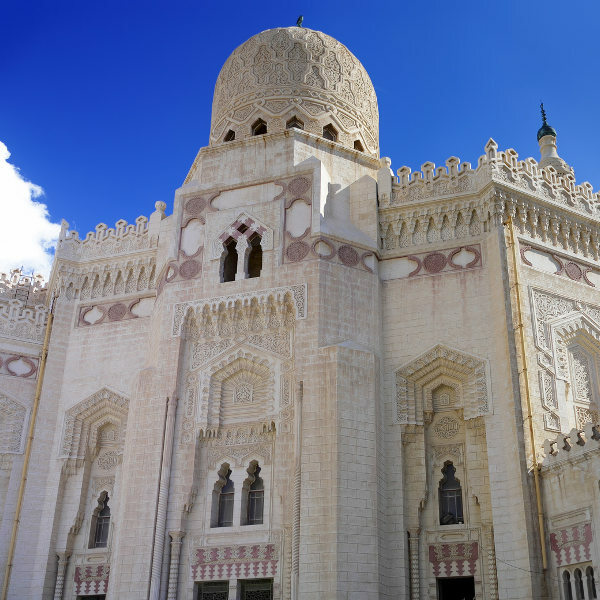 When you’re at this Egyptian destination, you can explore its wealth of historical structures, including the buildings that reflect the style of bell époque architecture. 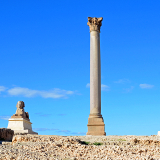 Take a tour of the museums and monuments, such as the New Library of Alexandria, Pompey’s Pillar, and the Roman Amphitheatre. When you just want to relax, sit down at one of the old world cafés, or the diverse selection of restaurants. Compare several airlines, and book your cheap flights to Alexandria online at Travelstart. 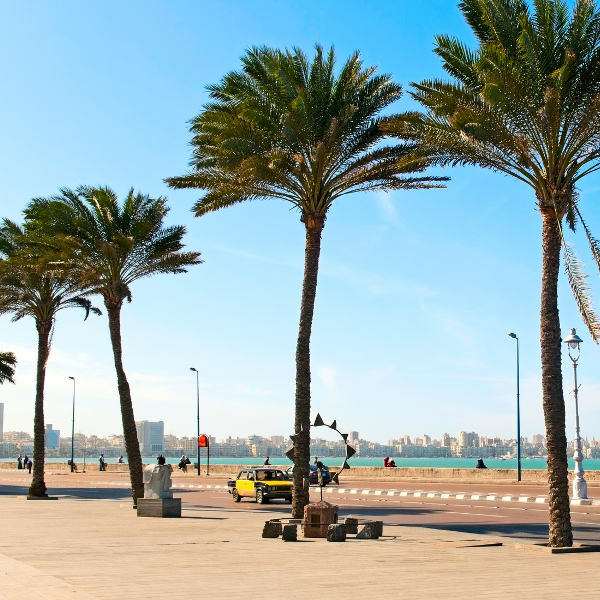 Several 3-, 4- and 5-star hotels are situated on Alexandria’s coastline, giving you quick access to some of the city’s golden beaches. Some include private beach access, rooftop pools, spas, gyms, and restaurants. The cost that you can expect to pay at these establishments ranges from under R 300 to under R 5000. You have three options for getting around Alexandria: taxis, trams and buses. The yellow and black taxis offer an affordable option, but you will have to be careful. Some drivers may take advantage of non-Alexandrians. Make sure you agree on the fare before you get in. A taxi ride between any two points in the city should not cost more than R 20. Should you wish to go to several places, the cost will rise. A day trip should cost R 8 to R 12 per place. If you want better quality, there are the Fast Call taxis, which cost more, but offer a better service than the black and yellow taxis. The trams offer you two lines, at a flat fare of R 0.66 per line. Take note, though, the first car out of three in the blue trams are for women only. The buses are the cheapest option, being priced between R 0.40 and R 1.20.